If The Simpsons taught the world anything, it’s that asking an Australian for coffee will get you a beer – and darn bloody right it should. Beer is the sweet mother nectar of our glorious country; it brings us together over snags and slip ’n’ slides, and gets directly funnelled into our mouths as we countdown Triple J’s Hottest 100. If that isn’t art, we don’t know what is (and honey we don’t want to know). Whenever a new brewery opens, it feels like Santa’s slapped on his Hawaiian shirt and summoned the power of a thousand jars of Vegemite to make Christmas come early, and this year has certainly seen it’s fair share of extra xmas surprises. Grab your growler and get ready to check out Brisbane’s crispiest new breweries these holidays. Perched on the majestic Brown Snake, Felons Brewing Co proves that beauty is in the eye of the beer holder. Pull up a chair and raise a glass of Australian pale ale as you shed a tear at the sheer perfection of this moment. You can satisfy your curiosity with a tour, or your hunger with wood-fired pizza and fish n’ chips. Iconic, supersonic, funky fresh. 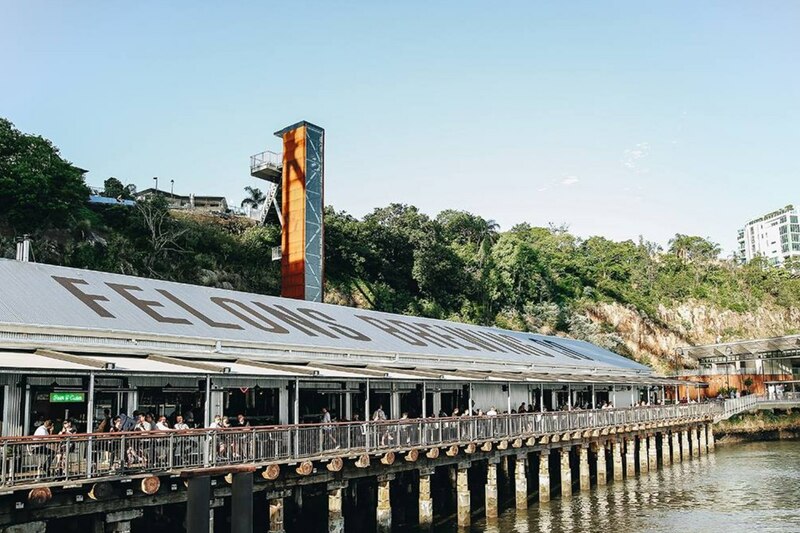 You’ll be walking on water at Kanga Point’s latest brewing banger. Sea Legs’ staple beers include a summery tropical lager, golden ale and pale ale, creating the holy trifecta in the brewing industry. When the urge to get creative strikes after your third glass, the opportunity to make your own charcuterie board will really get ya going. Watch it, or you’ll make like Lord of The Rings and leave Legolas. Soapbox will wash your mouth out in the best way possible. Basically, an Iced Vovo and a beer had a baby and called it “Sweet Talker” Biscuit Ale. Really rolls off the tongue, doesn’t it? Soapbox is 110% into experimental brews, which is refreshing in more ways than one, making a fine addition to to new brewery family and an undoubtable must-try. Time to get cleaned up and get down. Hop, drop and roll to Revel for a lesson in beer 101. A versatile beer list will grab your attention with everything from a timely summer ale, to the dominant Russian imperial ale. Grab a few mates, an agnello pizza, and watch the good times pour over and over again. The Greek god of the brewery industry, Helios, has created an environmentally sustainable brewery with more strength and charisma than Hercules himself. Drink in Poseidon’s power, or any of the 11 immaculate beers on tap, and realise that heaven is a place on earth. Brb, cracking open a cold one. - the gourmand who comes from a land down under, where beer does flow and men chunder.